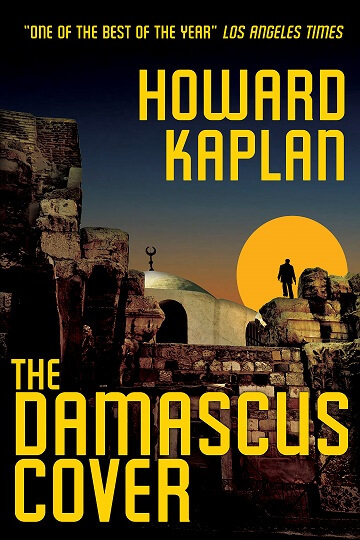 Today we are interviewing Howard Kaplan about his spy novel "The Damascus Cover" (The Jerusalem Spy Series Book 1), which will soon be a feature film released in theaters 2017, starring Jonathan Rhys Meyers and Sir John Hurt. I was born in Los Angeles and attended Berkeley as an undergrad. I spent my junior year abroad in Jerusalem and with a friend visited Lebanon, Syria and Egypt so I began to see both sides which has been a lifelong goal to grasp how both sides of this conflict felt. I have one son, 24, an English major who graduated from Oberlin College who as of late wonderfully been teaching me some things about writing. Describe the plot of your novel, “The Damascus Cover,” in a few sentences. I seem to have two kinds of readers: those who love thrillers and those interested in learning something about the Middle East as my novels come with a good deal of history snuck in between the action. What inspired you to write an espionage novel? When I was 21 and 22, I made two forays into the Soviet Union to smuggle out manuscripts on microfilm. At the time anyone leaving the USSR could not take unpublished writings with them as they were considered “property of the state.” I was arrested and interrogated for four days though I had no incriminating documents on me. I met some people in the espionage business along the way so I began to write about what I’d learned and seen in fiction form. Kaplan as an extra on-set in Casablancas. Much of the story is set in Damascus. What makes Damascus an ideal setting for the story? Damascus is the oldest continuously inhabited city on the planet. It’s actually an oasis, 50 miles from the Mediterranean, a desert oasis rung by a river with about every manner of fruit trees. I spent some time in the city and did deep research to bring the city alive to the reader as it’s such an interesting place. In “The Damascus Cover,” protagonist Ari Ben-Sion takes up a mission that he normally would turn down. What compelled him to accept the mission? Tell us a bit about the relationship Ari and Kim. They are strangers who meet, both with secrets, who unburden to each other but are mindful at the same time not to divulge too much. Ari’s marriage has come apart and like with his mission he is trying to grab again at life. 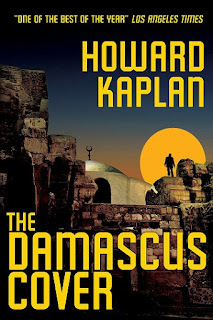 “The Damascus Cover” is the first book in the Jerusalem Spy Series. What can readers expect from the rest of the books in the series? The second book, "Bullets of Palestine," has already been published and the series will continue from there with those characters though the head of the Israeli Secret Service will continue through the series. “The Damascus Cover” will soon be a major motion picture. What can you tell us about the upcoming movie? Thanks for speaking with us about your book and the upcoming motion picture adaptation! Learn More about "The Damascus Cover"